difficult than it is for other people. In between editing deadlines and penning the chapters of my next book, I try to make room for shorter pieces of prose, both fiction and non. They keep my mind limber with flights of fancy, hone my storytelling skills, and provide me with pages to bring to my writers' group. 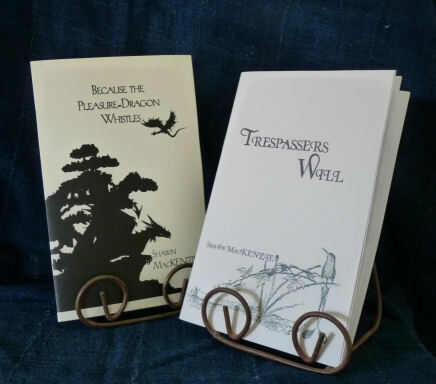 The best of my tales I have put into limited chap books - an endeavor which appeals to my inner bookdesigner - which make great Solstice gifts for the literary aficionados on your list. I offer the following for your enjoyment. This is my habitat, too. As the sap rises and spring's blush licks the Long Trail, I begin counting the days to Dragon Watching time. Of course, for the observant cryptoherpetologist, Dragon-sign can be found anytime: crisp paw prints in fresh powder or sinuous tail swaths cut through piles of rainbow leaves. 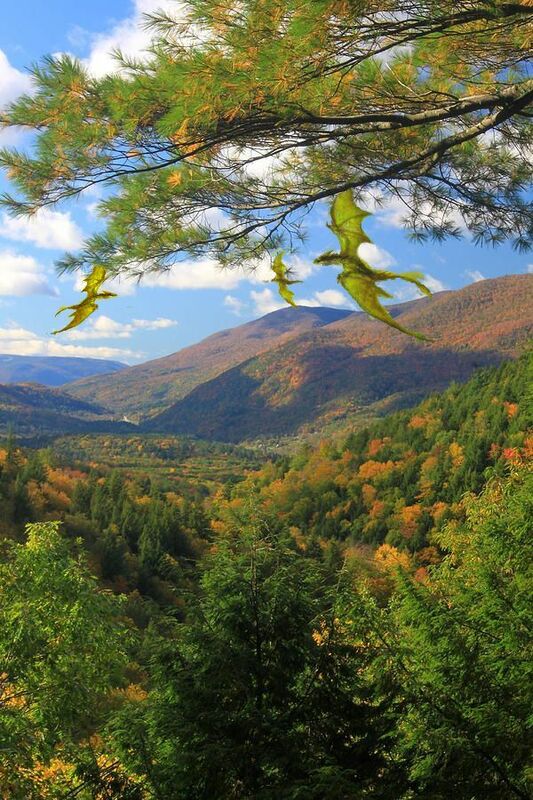 But, for amateur or seasoned pro, high summer in the Green Mountains is a true dracophile's delight. May to mid-August, between spring's stay-at-home hatching and the unpredictable passions of autumn mating, weyrs thrum with activity: old Dragons teach, young Dragons learn, and the skies are alive with enchanting aerialists of every shape and hue. It is also the time when Dragons without familial responsibilities go visiting. Indeed, the northern stretch of the Appalachian Trail is a veritable flight corridor for those calling on friends and not-so-distant relatives from Mts. Katahden to Glastenbury. Even the odd Berkshire Beardie or Adirondack Red has been known to soar by. This past June, I spied a pair of juvenile Aziscohos Split-tails dancing over Little Pond, near Woodford. The sight stole my breath! Stick to trails and designated lodgings. A highlight of any Dragon's first summer is learning the group stalk-and-pounce, and you don't want to find yourself the target of brood triangulation if you can help it. In the mid-20th century there were five mysterious disappearances in the vicinity of Glastenbury, Vermont. No bodies were found and it has been suggested they ran afoul of some over-eager youngsters who mistook them for large rabbits. Pack in/Pack out. You are in the Dragons' home and should treat it accordingly. You wouldn't want them littering up your parlor, would you? For answers to all other questions, pick up a copy of my book, The Dragon Keeper's Handbook. Then go have fun. It will be an experience you'll never forget. It had been a hard year in the land between the rivers. Spring came late, summer was tinder-dry; ewes cast before their time and the salmon ran light and small. Now came the killing frost before the Blood Moon. King Sevuk blamed it on the dragons. He blamed everything on the dragons. From the moment he planted his standard on the hillside and unearthed the first fieldstones for his castle, the inhabitants of the local weyr were the bane of his existence. It did not matter that he was trespassing in their home, poaching their woods and waters. It never crossed his mind to ask permission before ordering the forests cleared for fields and the caves scoured for mineral riches. He was a royal, with rights ascendant. His will was law; man and beast would yield before him. The dragons laughed at such arrogance, but were disinclined to engage in an all-out war over human stupidity. They'd been through dark times before and did not wish to revisit the experience. Besides, there was space enough for all. But every so often, just to keep their paw in and the humans in line, they staged spirited raids, culling a few cows from the herds, torching, by night, the scaffolding climbing round keep and kirk. Sevuk shivered his shield and talked a good game but, like many, lacked the stomach to face wing and fire. He was the King; his contribution to the common weal was top-down, at best. He ruled the rules, planned the plans, and expected fealty in return; but foes were fought by hirelings and minions. That was their place in the grand scheme of things, for meal and mail to lay their flesh and heirs on the line against man or beast or dragon. Mercenary slayers were his first choice for the dragon problem, but, when none could be found for land or title, he consulted the priests who shrugged, then extracted from the musty pages of forgotten tomes the traditional remedy of Gifting, the Church's benign euphemism for maiden sacrifice. For what dragon doesn't relish a tender, virgin morsel? All the best lore says it's so. "You can't be expected to do everything," the clerics wheedled. "Call it a tribute - a tax, if you will - in exchange for peace. The odds are fair," they insisted. "The herds stay safe, and the people do their part for the greater good. You are the king. Who's to say it isn't just?" The first was the Master Mason's daughter, Eneh. She was bright and comely, and, as a child, had played underfoot in the nascent castle her father built. Sevuk watched her grow into a young woman. He knew her; he liked her. But dragons were dragons and he was the king. For his people, Sevuk hardened his heart and looked away. He locked her face and name in the recesses of his mind and forced himself to forget. As long as he didn't know them, he told himself it would be all right; it would even get easier. So twice a year by decree, beneath the full of the Equinox moons, lots were cast and the chosen ones presented to the dragons. Decked in soft silks (the likes of which most had never dreamt, let alone seen) with wild thyme and vetching braided in their hair, they were regaled with honorific feasting - half wedding, half wake - their last repast with kith and kin. Then, as the night deepened, public pomp gave way to private lamentation. With only guards and priest as company, they were herded to the circle stones - ancient relics of an ancient world - and bound, profanely, to the dolmen at its center. No begging or tears, at least that was the post facto story told the families. Only hastily muttered prayers were followed by guilty retreats, as stalwart men of church and arms left the girls to gasping torchlight and imagined fears. The next day - not too early lest a dragon or two chose to loiter over their feast - a brace of the royal guard soldiered back up the hill, only to find the stone table empty, the grass bruised flat, the air ripe with heat and dragon musk. No one looked too closely at the severed bonds or the lack of burnt blood; just as no one mentioned the few coins left for the mourning families, the months of rent anonymously paid. Ritual was served; Dragons appeased. And priests who could not even put names to the faces of the lost gushed pulpit platitudes about routing the devil and the greater the sacrifice, the greater the reward. As the years went by, the king, armored by ignorance, lent his voice to the chorus of empty words. In this dance with dragons, priests and king had no blood in the game. The clergy were celibate wallflowers and Sevuk, he was a bachelor. Whether out of the belief he'd live forever or deep-dark fears he dared not contemplate, he shunned expected needs for mate or heir. Companionship was his to order, as, by liege right, was his subjects' sacrifice. So the rites of tribute continued. It did not matter that no one had seen more than a glimpse of a dragon in over a decade. The occasional scorch mark curling the hedgerow, an unusual claw print bleeding into the bog. No one even knew how many dragons were still at hand. That didn't matter any more. Tradition was tradition. To keep the community safe, the fields and herds secure. To guarantee the greater prosperity. Greenwood spit-and-crackle bounced round the hearth and echoed off the spare stone walls. Feet to the flames, shoulders hunched against the draughty expanse of the hall, Sevuk stared into the embers. His hair framed wary eyes, curling at nape and round ears in thick silver links weighing him down. There were times like this, tempest howling back into a past, when he allowed himself to wonder.... Had he a wife, a daughter of his own to share his days, his worried nights, might all this be different? Might he have found the strength to face the dragons, to win the affection of his people, not their fear? Might this hall be filled with music and laughter? Between gust and whisky and withering light, the woven dragon danced before the king, raising his battered head, mouth open in a merciless grin. The tapestry mocked him down to his bones. He closed his eyes, an impotent curse whistling through his teeth. "Tomás - the window! And more wood; the fire's almost ash." The call to his chamberlain echoed without answer. "Tomás - Damn you!" Sevuk pulled his robe close and tried to will himself to stop shivering. He was still king. Let them find his body frozen stiff where he sat, he would not play servant to his own comfort. "Where have you been, old man?" Sevuk growled. "Build up the fire and fetch me more drink." Flames blasted past his ear, licking the embers to life. The king leapt to his feet, head clear, sword bare, and looked square into the face of a dragon. Not a large dragon. Not a behemoth out of legend. But a solid, young lapis dragon, big as a wolfhound, with a bewhiskered grin and pale smoke rising from his nostrils. But this dragon was not alone. With a delicacy that belied his size, he was draped across the shoulders of his companion, a woman of indeterminate age, with oak-brown hair and a visage thin-lipped but bemused. The dragon's tail vined round her moss-robed waist, an intimate band supporting them both. "Steel serves no purpose here. King," the woman infused Sevuk's title with pitiful disdain. Not trusting the king to obey, the dragon disarmed him with a tail lash to the wrist, then blinked his amber eyes, laughing at the clatter of steel on stone. "Save your breath, Sevuk. They can not hear you." The dragon slunk down her arm, onto the floor; he curled up, back to the hearth, eyes refusing to leave their host. His person folded herself into the king's chair. "Oh, I'm sorry," she said. "Is this yours?" "I'll stand," he replied, positioning himself so he kept both dragon and lady within his purview and waited. Just as the moment was about to shatter into a million pieces, Sevuk broke: "How did you get past my guards?" he demanded. "What did you do to them, witch?" "That's what you want to know? And here I thought you'd grown into that crown of yours." She causally sniffed the king's quaich, then pushed it aside. "Sweetwater is better for you. You used to know that." "How do you...?" Sevuk inched closer, peering into the woman's eyes. The dragon growled deep in his throat, but stayed where he was. "Who are you?" Sevuk asked. She sighed, the weight of years and sadness creasing her eyes. "I thought you might remember." The past squeezed the king's heart until he gasped. "Eneh -? It's not possible. The dragons - " His hand reached out, seeking the feel of her skin, a confirmation of her reality. Smoke in the wind, she evaded his touch. "Yes, well. Dragons." She smiled from beside her companion, her fingers tracing ridges along his blaze. "There is a lot you don't know about dragons." "The others, are they - ?" "They are as I am, my liege. Does that please you?" "How can you ask? Of course it does." And it did, more than he'd thought possible. A draconic snort rocked him back into his chair. Not to appear any smaller than he felt, Sevuk cleared his throat and sat boldly forward, with the feigned eagerness of a schoolboy. "So. Tell me about your life - about the dragons." "Why tell when we can show, my liege." Before he could protest, the hearth-warmed blue twined his tail around the king's ankle and spread his wings, soaring out through the window, over the battlements, and into the cold October night. Sevuk held his breath, then held his dinner - as long as he could. For a brief moment he thought he might actually have enjoyed himself had he been flying up-side up and not dodging treetops. Where was Eneh? he wondered. Riding astride the dragon all safe and proper, or flying solo, perhaps. He'd seen no besom back at the hall, but there was no guessing what strange ways she'd learned over the years. Either way, the little dragon was right strong for his size. Before he could sort out in his mind the wonders of weight versus heft, his shoulder met the ground with a resounding thump and, ankle free, he tumbled to a most undignified stop at the base of what could only be described as a dragon's rubbish tip. He felt for broken bones, then, satisfied he would not fall apart like a stringless puppet, slowly got to his feet. Without so much as a by-your-leave or inquiry as to his wellbeing, she drifted off through the citadel of granite basins and rough-hewn caves. 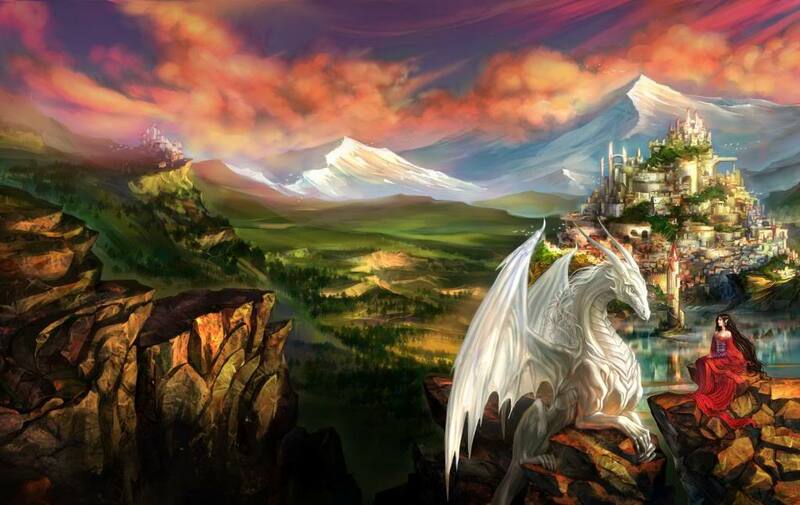 In a great stone arena, warm-lit with dragonfire, she stopped and dropped Sevuk to the ground with a look. Perched on tiers round about were dragons of every size and hue. By each sat a woman, one of fifty-eight, aged fourteen to forty by the king's reckoning. Sevuk reached for his sword, his hand coming up empty. It's all right, he told himself. Eneh won't harm me. "I'm here to learn." Even bouncing off the stone bowl, his words were thin. "To make amends?" It was a woman's voice, though through the dance of shadows, he could not see whose. Even if he could put face to words, he would not have known her name. "f I can. If you let me." A low rumble grew into a roar, half laugh, half scorn. This was not going to be easy. "Please, Great Dragons, Fair Ladies. Instruct me, that I might not wander this world, a fool of a king. The priests swore by the Gifting - "
"Priests are jesters in cowls. You should have known better." 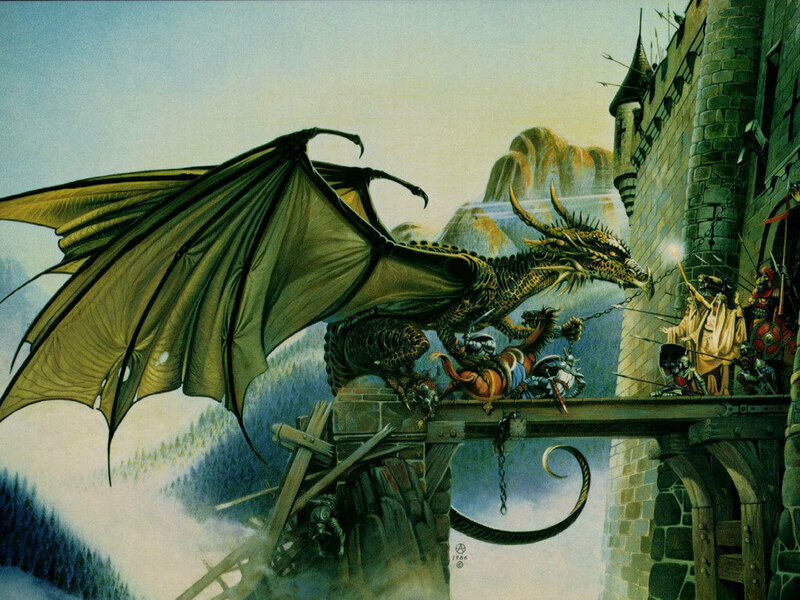 Sevuk ground his teeth: no one chides the king, but having dragons on every side gave him pause. "Yes, they are, surely. And I am not like them - I would not be like them." "These are facts..." A mellifluent fugue rolled down the tiers of dragons, starting with tenor tones of a great bronze creature perched on high. The king did not speak Dragonish, so Eneh translated. "We allowed you the land between the rivers. We put up with your plunder and theft, the cost of living near humans. Still it was not enough." A slender green took up the tale on the tongue of a ginger-haired girl nestled between his paws: "We've known your kind before. Always the same. A little land turns into a lot. Sharing turns to owning. You refused the simple cost of living in dragon country and would have wiped us out, first dragon to last, all for our taking our due. After all you took from us, you begrudged us the occasional sheep and cow? The rare display of dragonfire? "You dared not risk livestock or battle, but your daughters.... Were they worth so little to you?" Before Sevuk could answer - for what answer could he give? - a muscular dragon the colour of beech trees in winter scraped a talon across the rock. Against her shoulder leant a waif of a woman near Eneh's age with black-hole eyes bright against a flood of silver hair. As she took up her dragon's tell, her voice rang struck-silver, clear and strong. "We do not eat people. It is a rule we have. Too much gristle, too little fat, at least on peasant bodies. Not that we didn't relish your gifts. We appreciated each and every one. We kept them and learned their names and faces and taught them our ways." 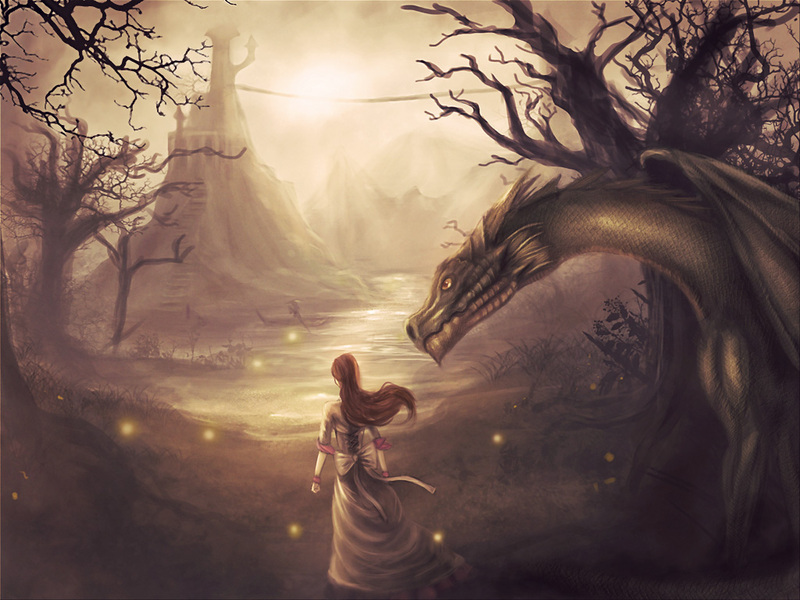 "But we are not dragons, you see," Eneh approached the king, the words her own. "For all their kindness, they could not sustain us. They proposed sending us back to our families but we refused. They had already grieved and our return would only bring worse to the dragons." She sliced the thought from his mind with a glance and continued. "Then the elders called the faërie, and they offered to take us in, one by one, as many as you sent, across the veil. And twice a year, when the veil thins, we are able to return. To visit our friends." She held out her hand and Sevuk took it - she let him, this time - and his fingers passed through her palm like a dirk through cheese. A resigned smile crossed her lips. "There was a cost. There is always a cost." "You think I wanted this? The Gifting? Had there been another way - "
The bronze roared. "That is what your species always says: There was no other way. Did you think to meet us face to face, to treat us with the respect that was our due? Of course not. We are just dumb animals to you. Pesky obstacles in your way to be fought or bought." "I know better now. I will put an end to the ritual; make amends to your families." "Coin for care? Be a better man? A better king?" Sarcasm never cut so deep as on the tongue of a dragon. "What happens now, it's not up to us," he growled, furling his wings round the women of the fey. "It is up to those you have wronged." Sevuk looked to Eneh, but she'd withdrawn with faërie stealth, and stood in the solemn glow of her companions. She spoke for them all. "Actions are taken, choices made. They cannot be undone. 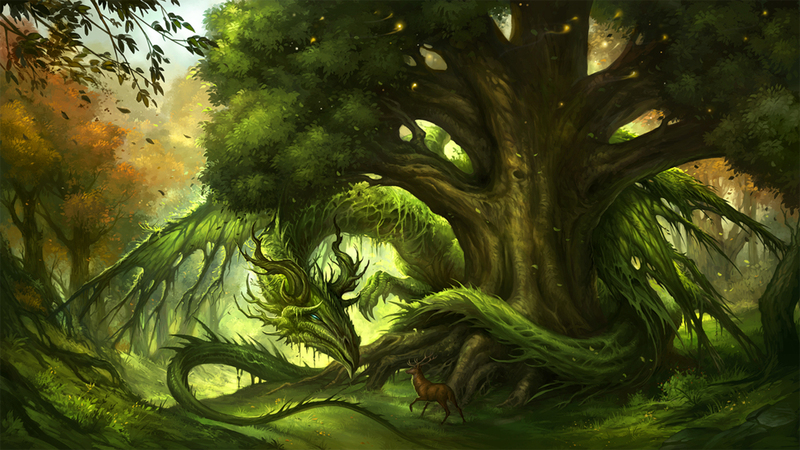 We are blessed to know the wisdom of dragons, to share in the magic of the fey. We would not be thus honored save for your rule, and so we have chosen to forgive you, Sevuk. Your royal weakness and greed, your world of black and white and narrow thinking. We forgive that. You are only human. But we do not choose to forget. We travel through the veil and hold to every face and name and moment. 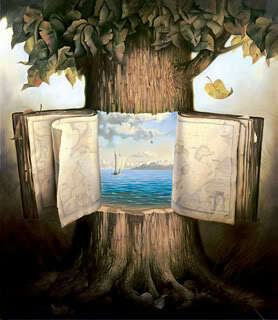 Each day our hearts tear with partings from families past and embrace with joy wonders present. They are memories that keep us alive. You were our king, Sevuk. That you believed you were doing what was right for your people, we understand. That you forgot us, our names and faces, we do not. "You are the king. There is a price to pay." In the morning, Tomás found Sevuk's sword lying naked beside the cold hearth. No one had seen the king leave, nor complained much when he did not return. In the night, across the frost-rimmed moon, the play of dragonfire lit the sky in one last rite of Gifting. From that day forward, the king's word held true: life finally was easier in the land between the rivers. The governing council liked to blame it on the dragons.